Highly speculated but confirmed today with a tweet, Keanu Reeves returns to avenge his dog once again on May 17th. 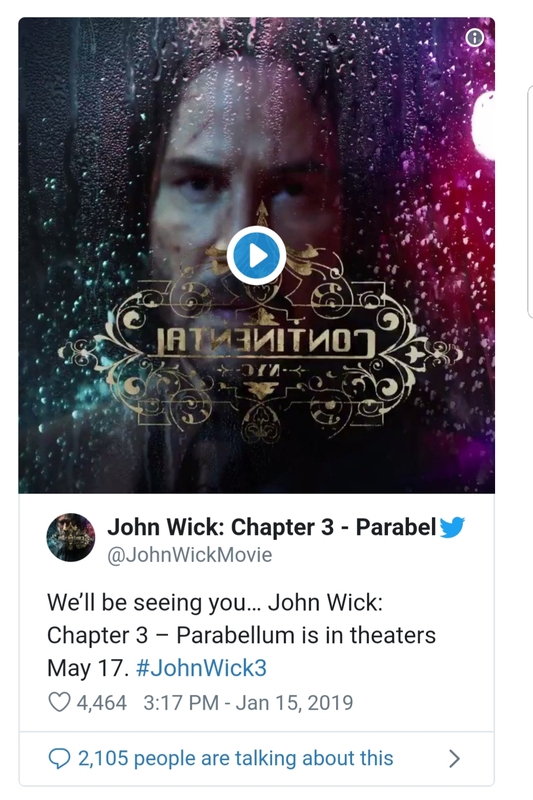 The third in the series, officially titled John Wick: Chapter 3 – Parabellum, will no doubt feature death and chaos in a level not yet seen in the series. Chad Stahelski who directs the series has already confirmed the kill count will exceed the second, which is going to be something as Wick was dropping bodies at a furious rate.